Veteran rapper Del the Funky Homosapien does what he does best. Again. But is it time for something new? 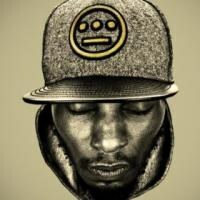 Del the Funky Homosapien is a living underground legend in hip-hop. Two decades into his career, Del is still putting in work and his latest release, Golden Era, is one of the most aptly titled albums you’ll hear this year. Everything you would expect to hear is present -- laid back, jazzy beats, a throwback vibe, and Del’s signature effortless flow. Golden Era, like so much of Del’s previous work, captures the feeling of a simpler yet better time in hip-hop, before the glitz and glamour, the high dollar music videos, and the painful overuse of that detestable thing called Auto-Tune. The only problem is, we’ve heard this all before. Don’t get me wrong, after 20 years since his first release, countless collaborations, and a track record that most underground emcees can only dream of, Del has certainly earned the right to continue making the same solid music that he’s slowly but surely been perfecting over the course of his career. The reality of course, is that more than a few indie rappers have surpassed Del and many of his kind over the course of the past decade, as new innovators are reshaping what un-commercial rap can sound like. Artists like Blitz the Ambassador, Atmosphere, and Blueprint have all released better albums than Golden Era this year and are pushing themselves to create a fresher sound. The question is, should we expect more from a talented artist such as Del than just another good album? Or does the 38-year-old rapper get a pass in the area of progression because of his longevity? As aforementioned, Golden Era is good. As always, Del’s groovy beats literally take the listener to another place. While listening to the incredible sounds of “One Out of a Million”, you can almost close your eyes and be taken back to summer nights past, sitting outside with your friends listening to A Tribe Called Quest. Del’s flow fits the music perfectly, gliding effortlessly over the beats while keeping the listener attentive with his knack for storytelling and humor. His punch lines rarely make the listener shout out an “Oh!” but more often than not, cause you to close your eyes and let out a “Mmm”. Some tracks, such as “Calculate”, are a bit repetitive while others never build and seem to lack a memorable line or moment. There are no bad tracks on Golden Era, but it fails to match some of his better past work (see: Eleventh Hour and both Hieroglyphics albums). Another plus is that Golden Era comes packaged with two past albums that were previously available only digitally -- Automatik Statik and Funk Man. Unfortunately, die-hard fans who already own those will be forced to pay again in order to own a physical copy of Del’s new material. Regardless of if you were hoping for more from Del in his latest offering, Golden Era is a good summer album and a reminder of all of the things you loved about hip-hop growing up. Maybe his tank is beginning to run empty or maybe he’s just hit a comfort zone, but there’s no denying that Del’s presence in the underground hip-hop scene has been a pleasant one and one that has been influential to many an aspiring rapper. Hopefully in future offerings, Del can include traces of progression while still maintaining the heart and vibes of his golden era.